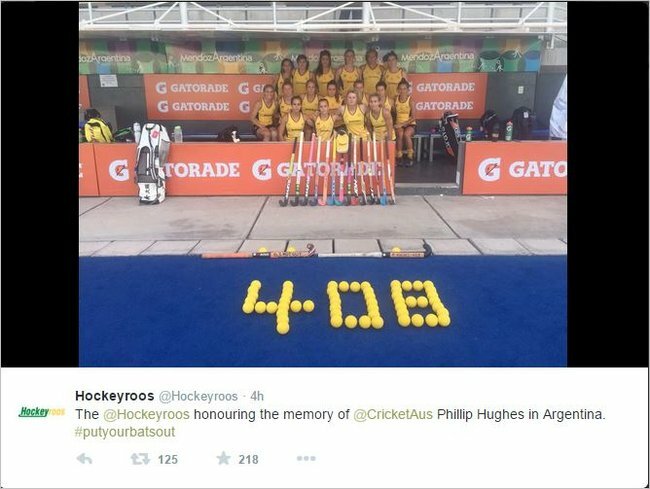 Aussie kids pay tribute to Phillip Hughes. 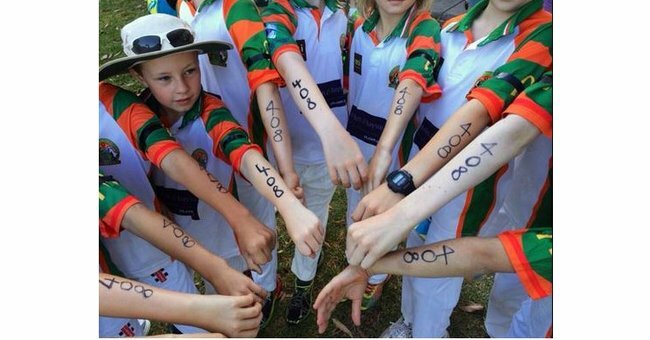 PHOTOS: Australian kids pay tribute to Phillip Hughes. 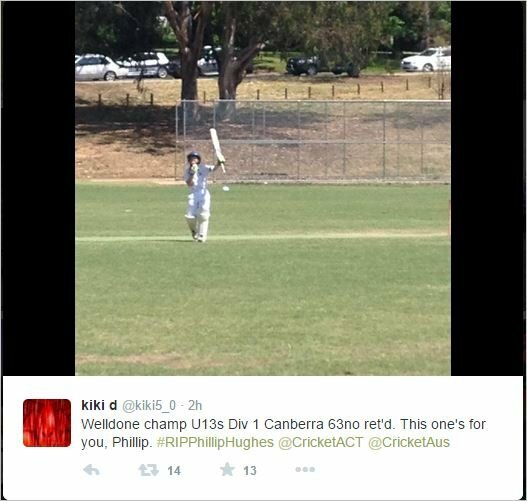 Today, all around the country, Australian kids paid tribute to cricketer Phillip Hughes who passed away on Thursday. The players also paused for 63 seconds of silence and many wore black arm bands and put black tape on their bats. Instead of retiring at the usual 50 runs, junior players retired today at Hughes’ final score of 63. While some parents have been concerned about players’ safety, doctors have been quick to assure the community that Hughes’ death was a “very rare and very freakish” accident. Here are some of the images of young players’ tributes on cricket pitches and junior cricket clubs around the country today. Tributes have continued to flow for Philip Hughes from players, celebrities and fans from around the world, including from the Queen. People across the globe have joined in the #puttoutyourbats movement started by Sydney dad, Paul Taylor on Thursday night, including the Australian Women’s hockey team, The Matildas.